I get a lot of emails from exporters who are confused about whether or not their products require an export license. Their initial search through the Export Administration Regulations (EAR) indicate that they do, but then they hear about or read about export license exceptions that may be available. I've put together an overview that explains what license exceptions are and how they work. This discussion assumes you know the basics of export licenses. If you are new to the export license process, I recommend that you first download and read our free white paper, How to Determine if You Need an Export License. What Are Export License Exceptions? 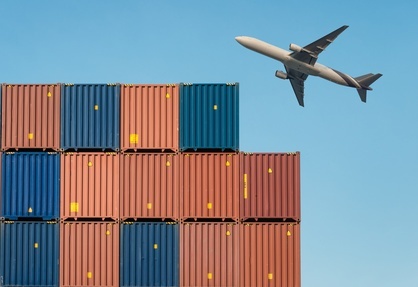 An export license exception is an authorization that allows you to export or re-export, under stated conditions, items subject to the Export Administration Regulations (EAR) that would otherwise require a license. This covers items that fall under the jurisdiction of the Department of Commerce and not items that are controlled by the State Department or some other agency. Here is a list of export license exceptions from the Bureau of Industry and Security’s EAR website. To learn more about each exception in detail, reference Part 740.1 of the EAR. Note that this list of license exceptions can change, so you should regularly consult the regulations to stay current. Find the Export Control Classification Number (ECCN) for your items in the Commerce Control List (CCL). The CCL is divided into 10 broad categories of products, so you need to determine in which category your products fall. The ECCN classification is a five-character numeric code (for example, 3A981 for a polygraph machine), so you will need to dig down through all levels to classify your products. Keep in mind that not all products are found on the CCL. In fact, most products aren't, and they are classified as No License Required (NLR). Unfortunately, the only way to determine that your goods don't appear on the CCL is to check the list and eliminate possible matches. The Shipping Solutions Product Classification Wizard can make this process faster than manually searching through the CCL. Once you’ve found the correct ECCN classification, the regulations tell you the reason that item is controlled. (It may be for purposes of chemical and biological weapons, nuclear nonproliferation, national security, missile technology, regional stability, firearms convention, crime control, and terrorism.) For the example 3A981, the reasons for control are crime control (CC). The CCL also list the license exceptions that may be available for a particular ECCN classification and the conditions under which those exceptions apply. If General Prohibitions 4-10 do not apply, go to the Commerce Country Chart and the CCL to determine if there is an “X” in the box or if some other licensing requirement is mandatory. If not, the item is No License Required (NLR). If so, move to step 4. Before going to a specific license exception, make sure there are no general restrictions. Again, you can use technology to make this process faster and less cumbersome. The Shipping Solutions Export Controls Wizard will tell you if a license is required for your product based on the ECCN classification and the destination country. It will also tell you if any license exceptions are available, and the conditions related to those exceptions. Review license exceptions in Part 740 to see if a license exception is available. Each exception is unique, so make sure you meet of all of the criteria. If so, use the license exception. If not, submit an application for a license. You can check out the helpful Decision Tree on page 14 of this PDF for more information. At many companies, the people who prepare the export documentation often share some or all of the export compliance responsibilities. Shipping Solutions Professional export documentation and compliance software helps automate those procedures ensuring accurate export paperwork and allowing users to quickly check for export license requirements as well as run restricted party screenings on all the parties in an export transaction. You can download a free trial version of Shipping Solutions Professional software and see how well it can integrate into your company's export process. The BIS website: You’ll find several sections every exporter should read about export licenses. You can also find webinars, seminars, and other tools for helping you with licensing issues.